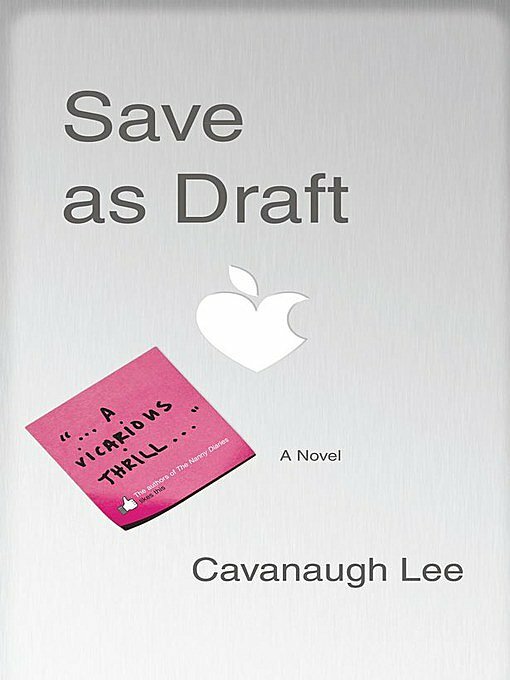 I love to read romance novels over the weekend and Save As Draft by Cavanaugh Lee is a perfect Lazy Day E-Scape. Are we Facebook friends yet? I’m the wactress (waitress/actress) turned lawyer who lives her life online. (Don’t we all these days?) Anyway, I’ve got this problem. . . . There’s this guy. His name’s Peter. He’s my best friend and co-worker, and we just started dating, which is potentially a huge mistake. But, that’s not all. There’s this other guy, Marty. I met him on eHarm, and he ran with the bulls in Spain. I can’t get him off my mind. What a mess. I’d love your advice if you can take a second out of your crazy, high-tech life. Shoot me an e-mail. Or text me. Or BB messenger me. Written in emails, texts, twitter and facebook updates, Save As Draft is not your usual romance novel, but it is oh so fun! I often find myself saving drafts of emails and never sending them (my drafts folder currently has over 100 emails in it, just begging for attention), or editing them so severely that by the time I do send them, they don’t resemble the original message at all, so the concept here is familiar to me. Throw in a little love triangle and you have yourself the makings of a thoroughly modern romance. Izabell is likable and I really want her to find her happily ever after, but first she’ll have to figure out how to balance her new career as an attorney with actually having a life. It’s not easy! I enjoyed reading Save As Draft and even sent a gift copy to a friend trying to navigate the high-tech dating world. She liked it, too! Have you already read it? What did you think?